Your gateway to a happier you. Free yourself from fear, anguish and the chaos of everyday life with the Yoga and Aerobics classes conducted at the Baramati Club. Breathe in the breath of life, all the way to the bottom of your stomach. Inhale peace and exhale chaos. 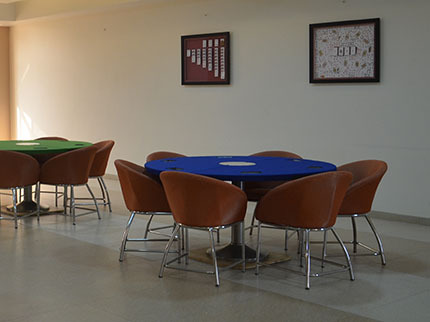 Get together with like-minded card enthusiasts at Baramati Club's well-appointed card room and enjoy gripping games of rummy, flash, bridge and several others. Play your game and ace in it. 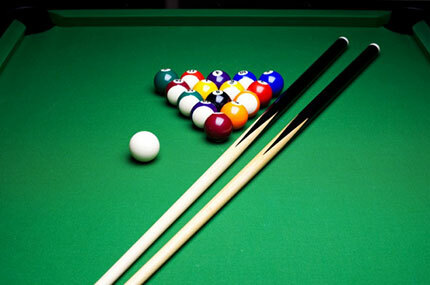 Take a much-deserved break and unwind with a game or two of pool at the Baramati Club. Break, pot and have the time of your life. 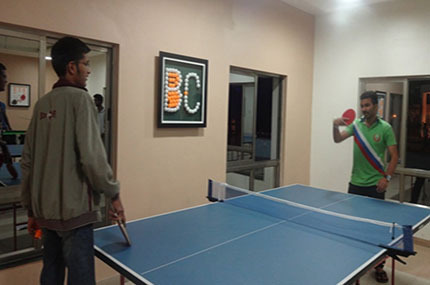 Have a great the time playing power-packed games of table tennis at Baramati Club's fully air-conditioned table tennis room. Serve, smash and give it all you've got. 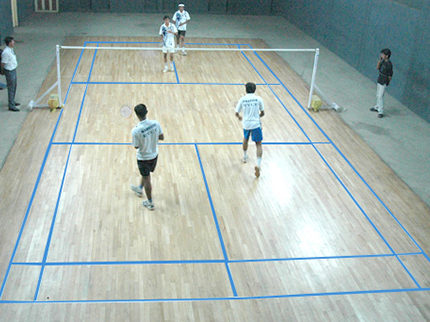 Play your heart out at Baramati Club's world-class indoor badminton courts. Play hard and get to the point quickly. Play like the champion you are. 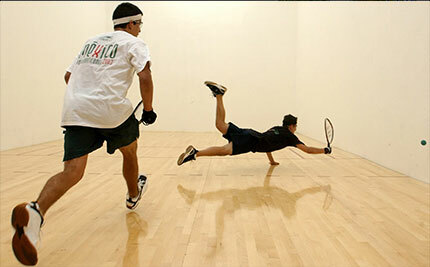 Work towards bettering your game at the world-class squash courts at the Baramati Club. Challenge yourself to reach newer heights. Practice hard, and play like a champion. Bask in the lap of luxury. 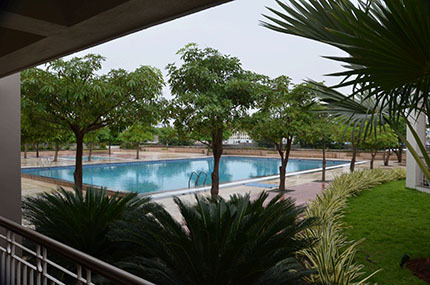 Make a splash in monotony by diving into the luxurious swimming pool at Baramati Club. Let your kids enjoy in the separate Kids’ Pool. Swim along and spend some quality time with yourself. Make way for a terrific, energising workout at Baramati Club's spacious, state-of-the-art gymnasium. 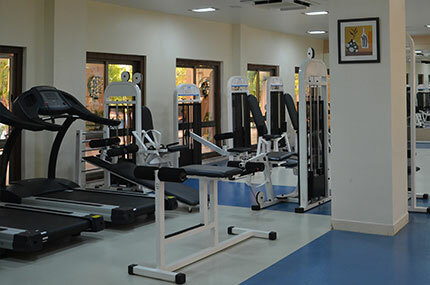 Apart from having the latest fitness equipment and modern weight training facilities, it is also equipped with ultramodern Steam and Sauna rooms. What's more, there are professionally trained instructors present to guide you with your specific weight training, health and fitness goals. So, if fitness is your mantra and getting in shape, your goal, there's truly no better place to be.